I have begun working on a GIANT new update, which should be out in two weeks. I will not be releasing anything before that. The significant changes will be the name of my mod, originally "Fool's Arsenal", changed to "A Fool's Quest". Another new change will be the different path and approach I will be taking on my modification. I will bring my friend into helping me with this giant update, which should hopefully speed things up a bit. Thankyou for your patience. 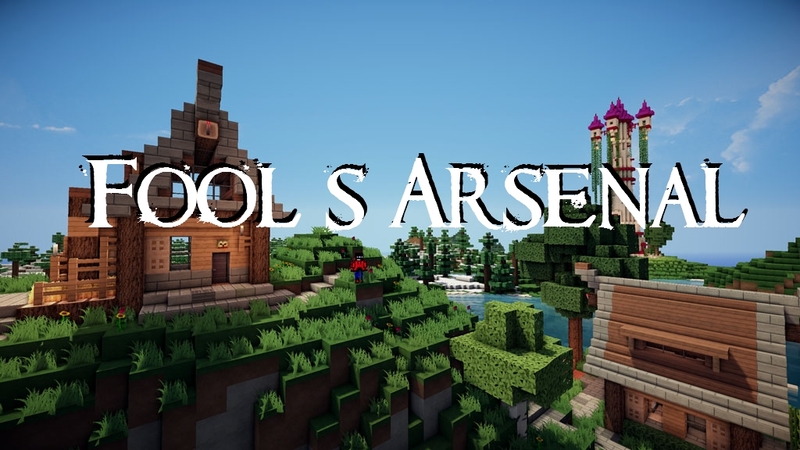 Fool's Arsenal is a combat modification which implements all new fantasy and ancient history-alike items, potions, weapons, armor, flowers and blocks that all fit into the genres, but provide new experiences throughout. The aim is of the mod was initially and still is to create a more diverse selection of weapons that define and distinguish each player. As that is so, Fool's Arsenal also brings new potions and flowers, similar in the way of 'The Witcher 3: Wild Hunt' , where you can gather many resources and simply create potions that will aid you. As of 1/03/2017, version 0.4.4 has been released. This new version implements a new dimension that can be travelled to, created from using whitestone and igniting it with a chemical substance. The new dimension is still in work and many new things will be added over the period of this week and the next. For a full list of things that can be added check the list below. For the things that had been added check the spoiler below. - Whitestone, whitedirt, whitewood and tree. Until i can get a proper forum when this mod is out of the early alpha or development period, you will need NEI (Not Enough Items). I will be working on getting a proper forum up to date as soon as this mod gets attention and is out of the development stage. Things planned for updates to come. For the next version to come, I plan to add a new mob that will be hostile towards players. I also aim to add a new fluid that will replace the water textures, and a lava-like fluid which will also replace lava. I will also be trying to add new ores to mine into the dimension and biome. That could be expected in the next update. For the release after this one, I will work around getting a wider variety of mobs, passive and aggressive, flying and swimming. So basically, my goal is to add in things that will make the Whiteforest dimension a more alive place to go.